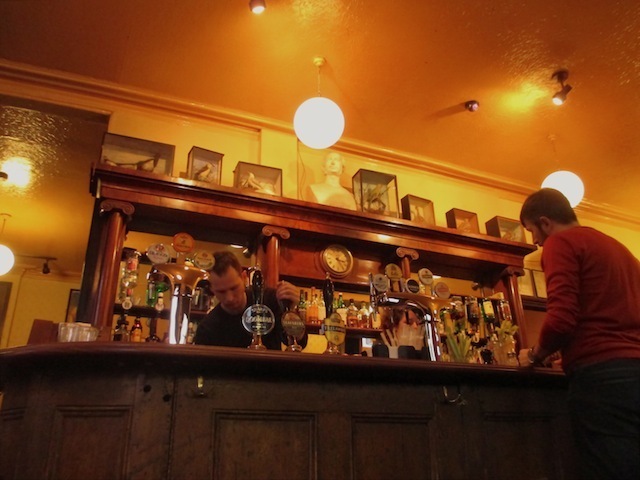 This pub has been voted by our readers as one of the best in Dalston. See the full list of winners here. The Prince George is named not for the infant heir to the House of Windsor, but one of his Hanoverian forebears. 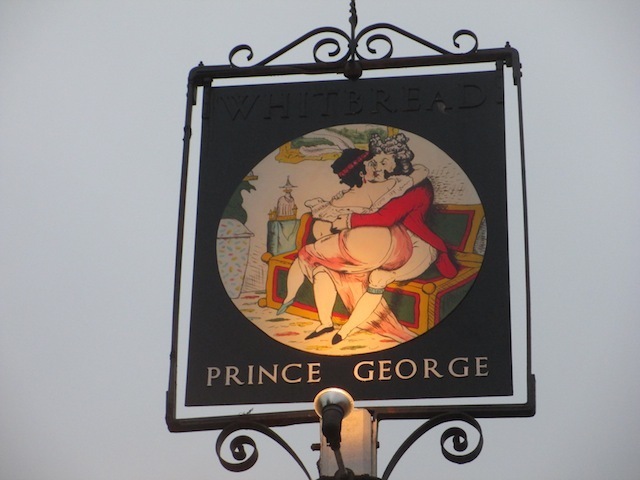 Check out the pub sign for the kind of saucy rompster we're talking about. 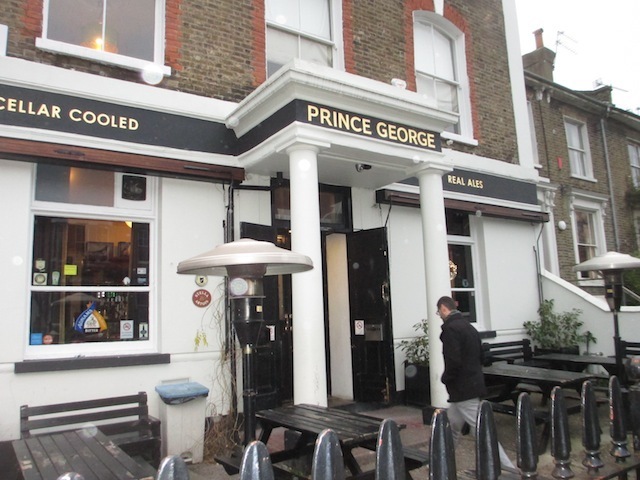 Inside, the George is magnificently appointed. The seating areas form a square around the bar, with each corner offering something a little bit different. 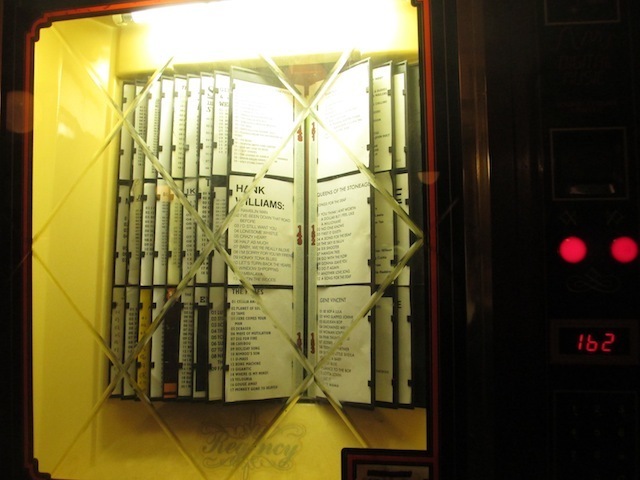 At the near-left, you can enjoy brightly lit stool seating and peruse an excellent jukebox (Hank Williams and The Pixies on the same selection page!). Near right positions you next to a warming fire. Back-left and you're in the map room, with a giant gazetteer of the planet. Back-right and you're in a small dining area. Oh, and there's the small function/pool room at the extreme back. Decorative eccentricities, such as a Brunel bust surrounded by taxidermy, cast iron caryatids supporting the table tops, and a photo of a man standing in the spot where his photo is hanging, are subtle but welcome additions. 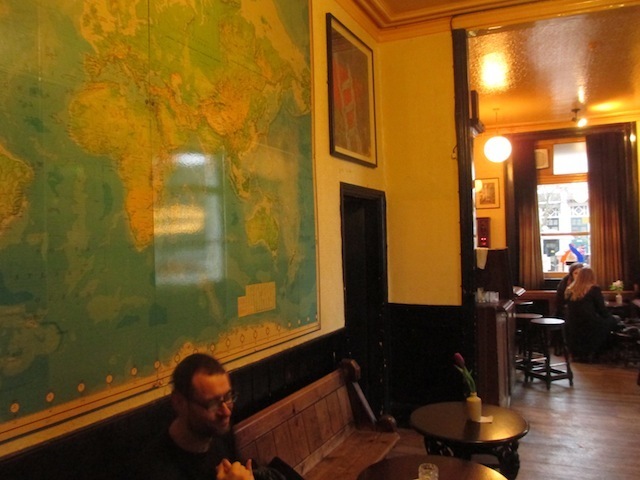 The beer choice is limited to three on draught (one of which — Seafarers — was off on our latest visit). But this is one of those places whose convivial character makes it more than the sum of its beer.